The tendency of public utility companies is to achieve the integration of computer technologies to physical structures, especially in the energy sector where it is sought that the resources used in generation, transport and distribution of energy have a better use. Technological advances, new consumer trends and climate change have considerably increased energy demand; In addition, the subsidized construction industry is booming. Tecun siempre busca ir a la vanguardia en el ofrecimiento de soluciones de altísima calidad y con la mejor tecnología. Hemos desarrollado T-Box que además de permitir el manejo de la información de consumo, conexión y desconexión de forma remota, ayuda a mitigar el fraude en aquellas zonas donde los clientes estadísticamente se han caracterizado por tender a hacer diferentes tipos de manipulaciones a los medidores eléctricos. The box has a special insurance and opening sensor. If it is opened without proper authorization, a total disconnection event is generated and an automatic alarm is recorded, avoiding unauthorized consumption. 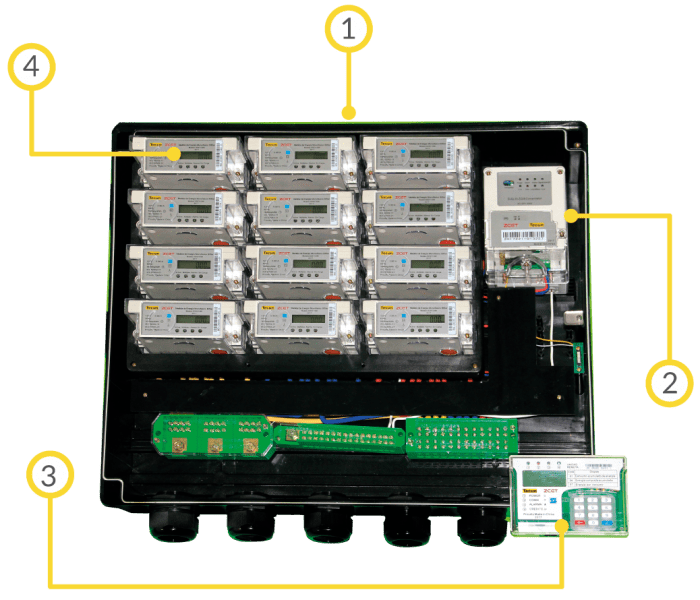 The meters installed in the T-Box can be programmed independently through the concentrator, so that if a user is in default in the payment of their service, it can be remotely disconnected without affecting the other users of the box. Once the user pays, the reconnection can be made remotely without having to incur additional expenses for personnel who move to the point. 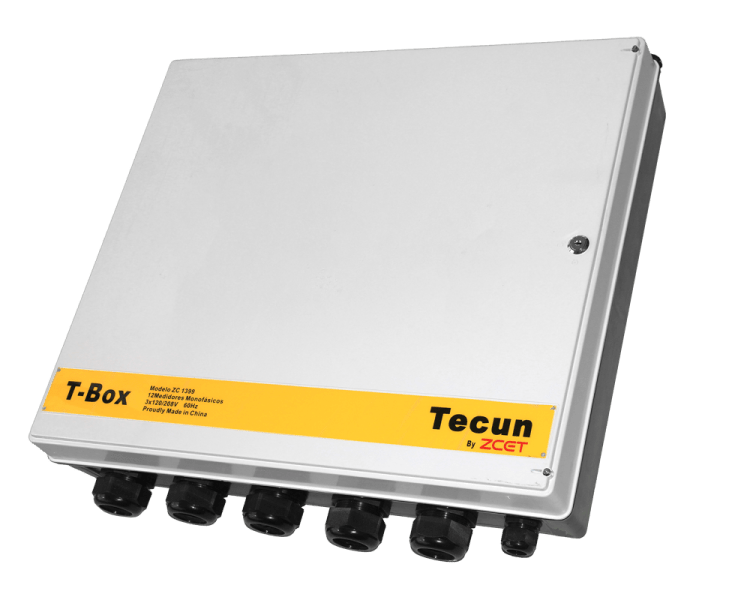 The T-Box is designed to be installed in places beyond the reach of users and can be located both on a wall and on a pole. The hardware for installation is included. High contrast backlit liquid crystal display (LCD). Compatible with STS technology for prepaid applications.